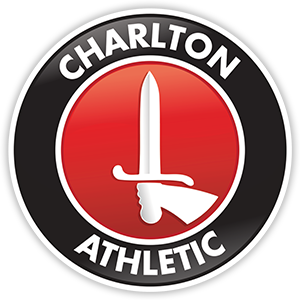 Loan signing Danny N’Guessan helped secure another vital three points for Charlton as the league leaders moved one step closer to promotion. Charlton were keen to get on the front foot, and started brightly. Indeed, it was N’Guessan who could have put them ahead after barely a minute, but his powerful shot was well saved by David Grof. In a lively first half, Johnnie Jackson saw his header go agonisingly wide, whilst Ben Hamer had to be alert to foil the dangerous Alex Nicholls. The opener came just past the half hour mark, when the returning skipper whipped in an inviting free kick to allow N’Guessan to head home. The goal meant that he has scored in all three of his appearances at The Valley since completing a loan switch from Millwall. Charlton went in ahead, but in the second half they could not build on their lead. The visitors were almost level when Hamer failed to collect the ball from Emmanuel Ledesma’s free kick, and veteran striker Jon Macken failed to put away the chance as the hosts began to look a little edgy. After intricate footwork and a wonderful through ball from Jackson, Bradley Wright-Phillips could have extended the hosts’ lead, but his effort lacked any real power as he saw it sail wide. In a half short on chances, N’Guessan almost added to his opening goal, but visiting keeper Grof was able to deny him. Although it wasn’t a vintage display from the South Londoners, it was a performance that secured another three points over a vital Easter period. Together with Saturday’s triumph over Oldham, the result means that Charlton are now within touching distance of returning to the Championship. A long journey north awaits Chris Powell and his troops next weekend, and depending on results, it could be a journey well worth making for The Valley faithful.